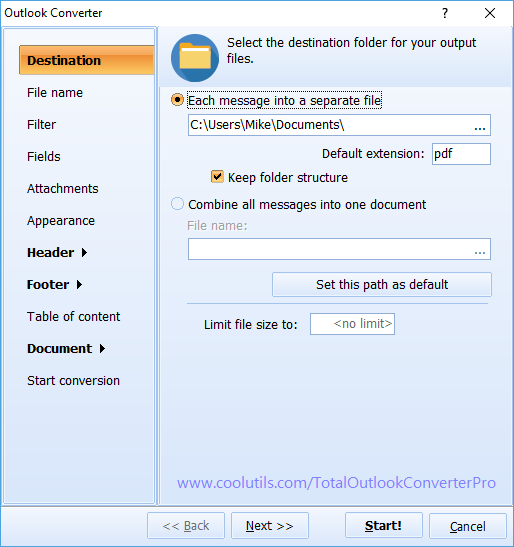 With the Total Outlook Converter Pro, converting your Outlook emails into the TXT file format is a breeze! 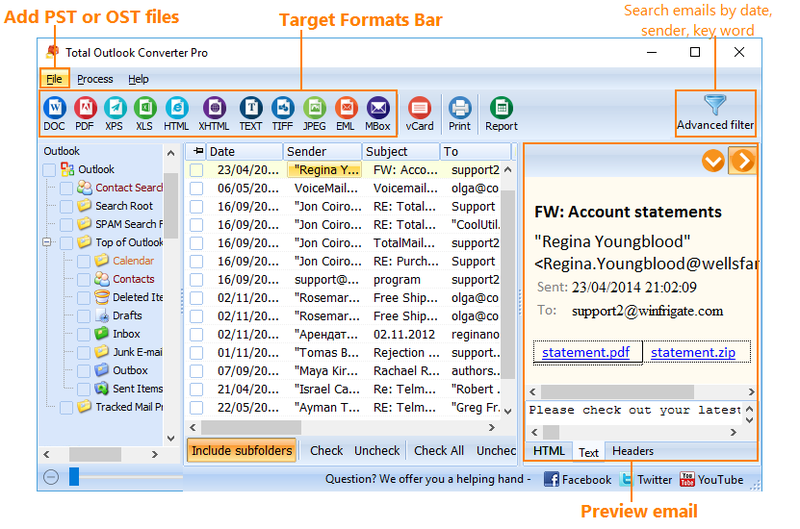 In fact you can easily convert everything; from individual emails to huge projects using our batch Outlook converter. 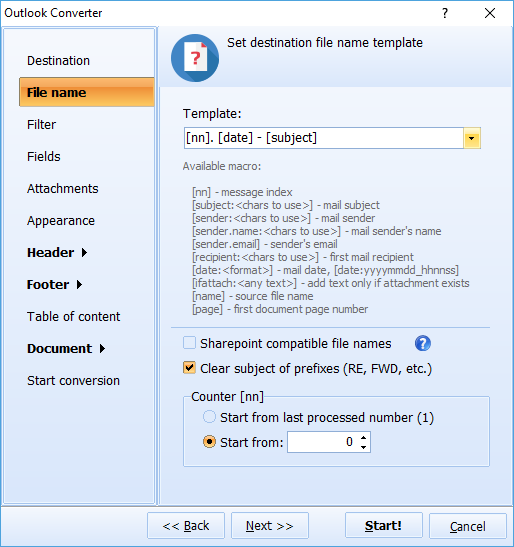 Our converter even maintains the integrity of your original email attachments. Providing users with the only software able to convert Outlook to TXT with attachments, we think you'll agree that this is one cool tool! Maintain original attachment format and convert email body only. Extract specific fields (date, subject, sender, etc) from emails. Combine multiple emails into a single multi-page file. Add page numbers, dates or any watermarks. And that's not all. We're always developing cool solutions to new formats once we discover them. From time to time we even implement changes to our existing converters based on user requests. It's about creating tools that make computing life simpler, and your projects cooler. Check out our free trial today and see for yourself. Once you decide to upgrade to the licensed version for just $99.90 you will receive a lifetime license with no subscription necessary and no hidden costs! 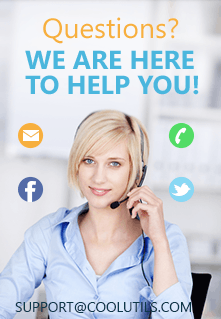 You will also gain access to our top notch support team ready to answer all your questions via email, Facebook, Twitter, YouTube, our blog, or over the phone. Featuring support for more than a dozen different languages whether you're in North America, Europe, or Asia we're here to help!